Thank you all who participated in the 2018 NWYLS on November 16-17! If you are between the ages of 14 to 26 and have participated in outdoor, leadership and/or stewardship programs, we invite you to the Northwest Youth Leadership Summit (NWYLS)! 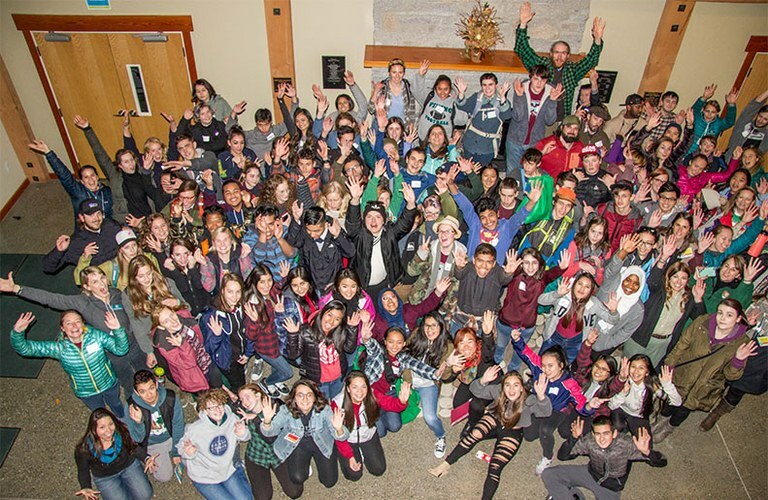 This year, the NWYLS will consist of Seattle area field trips on Friday, November 16 and the Summit on Saturday, November 17 at The Mountaineers Seattle Program Center. Learn more about these opportunities and register for the Friday Field Trips on the pages below! The registration for the Saturday Summit has closed. 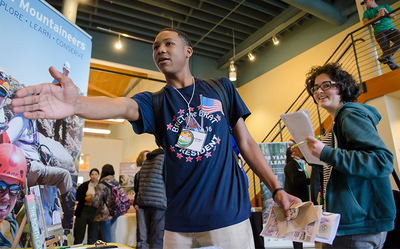 Explore Seattle through these free field trips. Consider the environmental job, internship, and other opportunities that exist in this city and beyond. 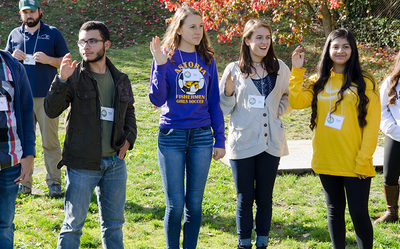 Join 150 participants, ages 14-26, in a full day of skill-building breakout sessions, career and networking opportunities, and outdoor adventures. Breakfast, lunch and snacks are provided. Limited free transportation is provided from several locations in western Washington. Contact us at youth@ncascades.org or call (360) 854-2588. 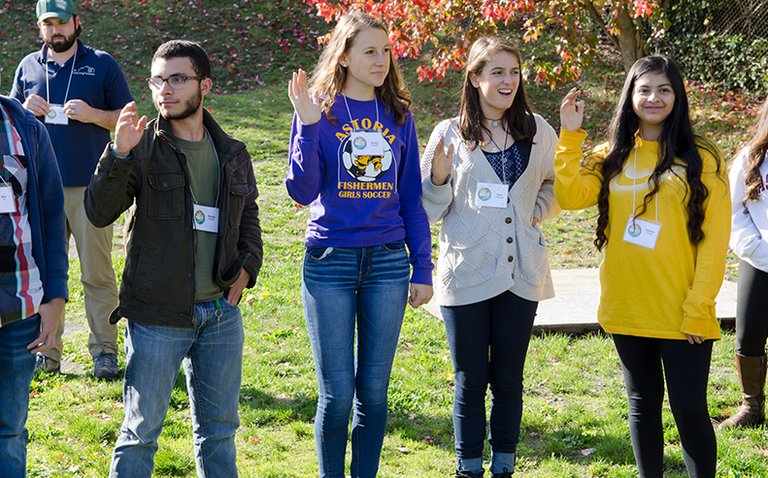 We need your help to give students the skills and motivation to achieve their aspirations to become tomorrow’s environmental and recreation leaders. Achieve your philanthropic goals, while receiving some excellent marketing benefits. Check out opportunities to underwrite the Summit or fund a student scholarship in the Northwest Youth Leadership Sponsor Packet. You can contribute to this vital step on the path for young people to be environmental leaders, while gaining recognition for your business as one of our key supporters. Please consider sponsoring or donating goods to the Northwest Youth Leadership Summit.